What to Do in Autumn About Vitamin D? 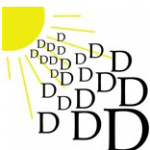 Are you thinking about your vitamin D levels? Now that Autumn is here and the sun is making its appearance for shorter amounts of time each day, it’s important to think about how you’re going to be supplying your body with the essential vitamin D that it needs every day. The best way to get your vitamin D is by exposing your skin to the sun every day for at least 15 minutes, but no longer than a couple of hours, as a rule. While this is easy to manage when the temperatures are mild, it’s almost impossible to get that much sun exposure when it’s cold out and your skin is covered up. Is vitamin D deficiency a concern? We hear all the time that our body needs vitamin D, but why is it a concern? Why do you need it? 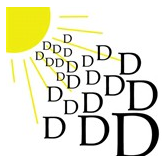 Vitamin D (especially vitamin D3) is an essential element that the body cannot make on its own. We reply on external factors to supply it to us, such as soaking it up naturally from the sun, or eating fresh D3-rich fish. We can also take a supplement for D3, which is often a great way to get it when all else fails. When taking D3 in a supplement form, it has to be paired with vitamin K2 for proper absorption. Many supplements have both D3 and K2 in one convenient tablet for optimum absorption. What Vitamin D does for you? If you’ve ever heard of people getting the ‘winter blues’, you understand one of the main benefits of the body getting enough vitamin D, as it’s a mood enhancing nutrient. It doesn’t alter your behavior like a drug, but it plays a vital role in your brain’s ability to regulate your moods. Besides this important part that it plays with the brain, vitamin D has shown promise in fighting osteoporosis, cancer, high blood pressure, Alzheimer’s,and diabetes. As well, it fights the free radicals that lead to premature aging. D3 is believed to be a better form of vitamin D to take since it is more readily absorbed in this form..
With vitamin D3, there does not appear to be a cap on the amount that the body can use. Some people take in excess of 10,000 IU each day. For vitamin D the recommended daily allowance is 600 IU. You can easily meet these guidelines by eating a diet rich in fatty fish, such as wild-caught salmon. Many mainstream foods which claim to be vitamin D rich are no longer considered healthy choices, such as whole milk and other dairy products, since the modern dairy industry has allowed antibiotics and hormones into their food supplies. If you choose to eat dairy products to boost your vitamin D levels, select organic dairy products without harmful ingredients. Wild-caught fish is still the best choice on the market to supply the body with healthy, natural vitamin D.
Should I sit inside all winter and take vitamins? Definitely not! As often as is possible, get out in the sun, even when the temperatures are frigid or less than appealing. Winter’s midday sun is the best source of vitamin D that you can obtain. Hiking, jogging, walking, or any other outdoor sport that will get you out of the house will help you get as much sun exposure as possible until the spring warms things up.